The Architecture Society organised a Souvenir Design Competition on 27 October 2017 at Sungai Long Campus. Present at the event were Registrar Yim Lin Heng, Lee Kong Chian Faculty of Engineering and Science (LKCFES) Department of Architecture and Sustainable Design Head Tan Kok Hong, Deputy Dean for R&D and Postgraduate Programmes Assoc Prof Dr Yong Thian Khok, LKC FES lecturer Tew Bun Teck, Corporate Communication and Public Relations Director Ong Soo Weon and students. 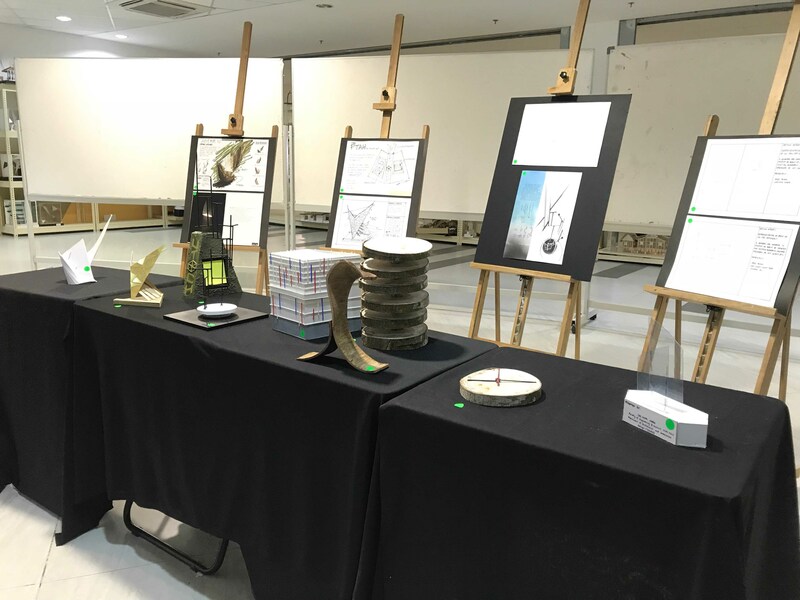 The Souvenir Design Competition aimed to seek a general-use souvenir which can be displayed for visiting academics and speakers. The objective of the competition was to unleash the potential of the students in generating ideas for souvenirs. Eric Tan Yin Jie and Violet Wee Zhi San won the Champion with RM200 cash prize while Foong Zi Lin was awarded second prize with RM100 cash prize. Lee Sai Yuan and Goh Bee Chen came in the third place with a cash prize of RM100. The Executive Committee is comprised of Ang Seow Li, Chan Shi Chein, Cullie Ng Koh Lee, Denife Chien Li Jung, Dominic Kuah, Fong Man Jie, Julian Lee Sui-Quang, Keith Tan, Kong Wen Hui, Lee Xin Yee, Michael Khoo and Quah Ee Lyn.